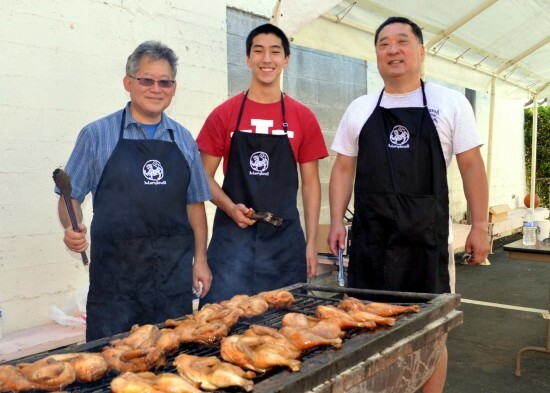 On Sunday, Sept. 20, the Maryknoll Karate Club will be holding its 30th annual Chicken Teriyaki and Bingo Fundraiser. The event features Maryknoll’s famous barbecue chicken teriyaki plates using a recipe handed down by many generations and is regarded by chicken teriyaki fans as one of the best tasting anywhere. The dish has grown so popular after 30 years that the club annually serves 1,500 plates to satisfied customers. The cash bingo game annually attract many players from all over the community, novices and veterans alike, with generous cash pots and free raffle prizes in between games. Although bingo players must be 18 years old to play, kids can also have fun in the bounce house. Curbside pick-up of dinners will be available. Food will be served from 11 a.m. to 5 p.m. with bingo running from 12 to 6 p.m. Location: St. Francis Xavier Japanese Catholic Center (Maryknoll) in Little Tokyo, 222 S. Hewitt St. (two blocks east of Alameda Street on Second Street). For more information, contact James Uyeda at (213) 709-1596 or Beth Teramoto at (626) 643-1374.